Sunday night at ODC saw the closing performance of LEVYdance’s Fall Home Season, AMP 2014. 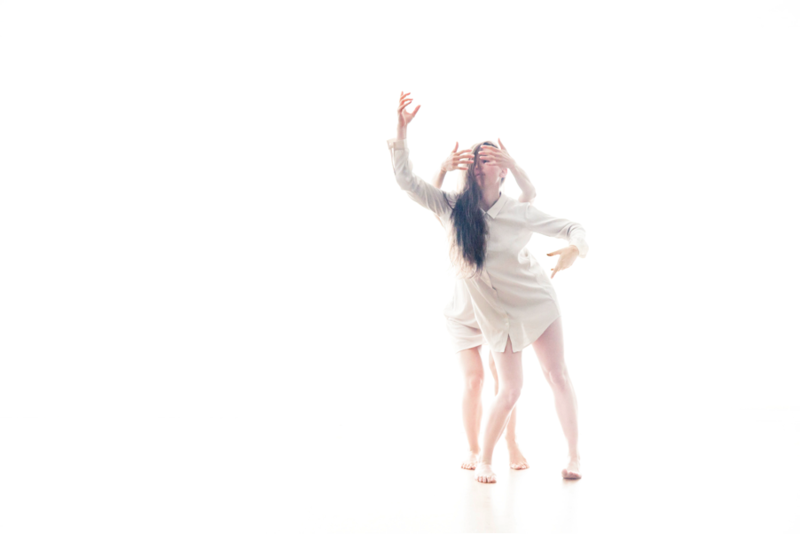 In this, the Artists Maximizing Potential series’ second round, LEVYdance and Loni Landon Dance Projects collectively brought “Meet Me Normal” to the stage, an evening-length world premiere contemporary dance choreographed by Loni Landon. A deconstructed narrative work, “Meet Me Normal” was definitely about something, but it did not follow a linear storyline. It asked questions and provided insights; it challenged preconceptions and revealed reality. And it did so around a very accessible and relatable subject matter – the emotions and circumstances that inform human interactions. Throughout the forty-five minute piece, Landon and the cast of six (two LEVYdance company dancers, two performers from Loni Landon Dance Projects and two guests artists) thoroughly examined the entire spectrum of this concept. From the opening duet, issues of control, submission and power were introduced. In a given interaction, does one party attempt to dominate, while the other follows? If so, is that dynamic static or in a constant state of flux? Subsequent sequences spoke to detachment. Two women danced a lovely unison variation, and their movements were totally in sync. Yet at the same time, they seemed purposefully unaware of each other, communicating that sometimes we can be engaged in an interaction and not even know it. The men’s duet in the middle of “Meet Me Normal” (danced by Stephen DiBiase and David Maurice) was a rich section, where the narrative continuously layered and evolved. It began with DiBiase and Maurice facing each other and matching their movements and gestures. An example of listening in an interaction, this message recurred in many of the following vignettes. Then, this quiet, meditative movement morphed into something else. DiBiase and Maurice kept trying to hug each other, but were unable to actually make contact. Uncertainty and insecurity had crept into their interaction. Landon’s choreographic vocabulary in “Meet Me Normal” had a wonderful sense of initiation. Though the movement style certainly varied, much of it started externally, from the knee, hip, foot or elbow, particularly in Lavinia Vago's closing solo. It almost was a little ode to puppetry and a reminder that interactions are sometimes controlled and guided by outside forces. Not only was the piece an overwhelming success, but it was also a testament to the breadth of LEVYdance’s AMP program itself. In November of 2012, the first AMP showcased work by two different choreographers in a shared evening - two dances by Artistic Director Benjamin Levy, and two by Sidra Bell (one danced by LEVYdance and the other by Sidra Bell Dance New York). Almost exactly two years later, direct artistic collaboration took focus as two companies (LEVYdance and Loni Landon Dance Projects) created and performed in Landon’s piece together. Successful residency programs are the ones that experiment with different formats and it was heartening to see that LEVYdance’s AMP series is continuing to forwardly seek new and risky experiences.